Join us for the next volunteer information session on Thursday, May 16th from 6-7 pm. 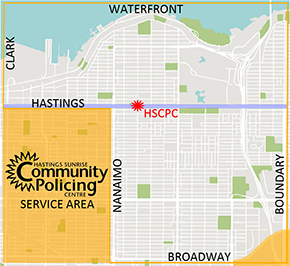 Learn more about our organization and the process to become a volunteer with the Hastings Sunrise Community Policing Centre. We look forward to meeting you! To register your attendance, please call us at 604-717-3584 or send an email to info@hscpc.com.